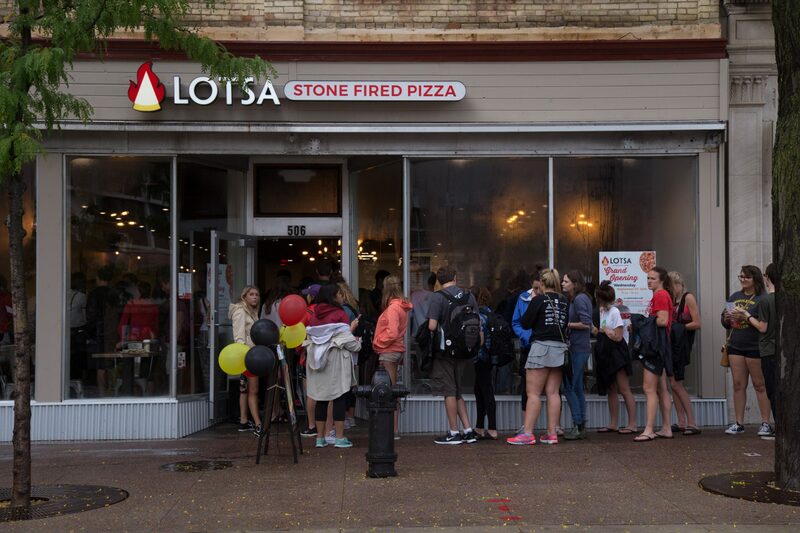 Just like the day’s pouring rain, the long line at the new pizzeria on State Street didn’t subside through its grand opening day. 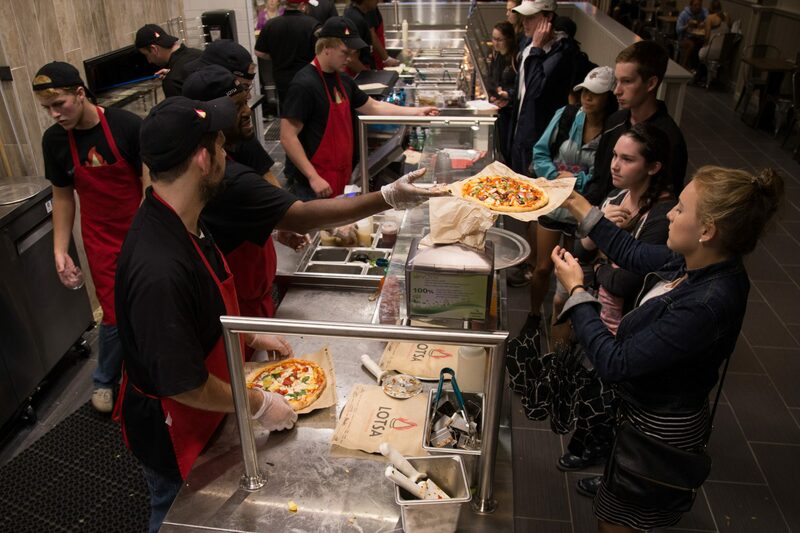 Offering $3 11-inch build-your-own pizzas to lure in hungry customers, Lotsa Pizza prepared more than 2,000 dough balls to last until midnight Anthony Digangi, chief operating officer who oversaw today’s successful opening, said. 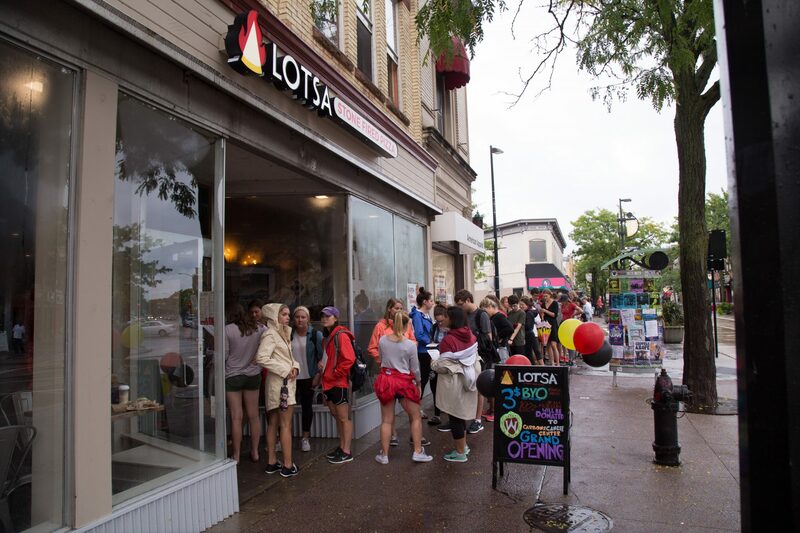 The line extended around the corner of the block outside the new pizzeria, Lotsa, on State Street. Like many recent restaurants, customers can see their orders made from start to finish, exactly to their liking. 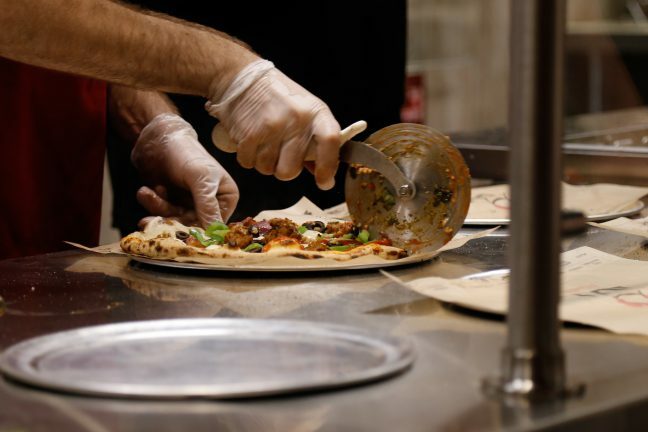 Beginning with the dough ball rolled and tossed right before their eyes to the wide selection of sauces and toppings to the assembled pie slid into the rotating stone oven, the friendly staff assists throughout the process offering suggestions along the way. 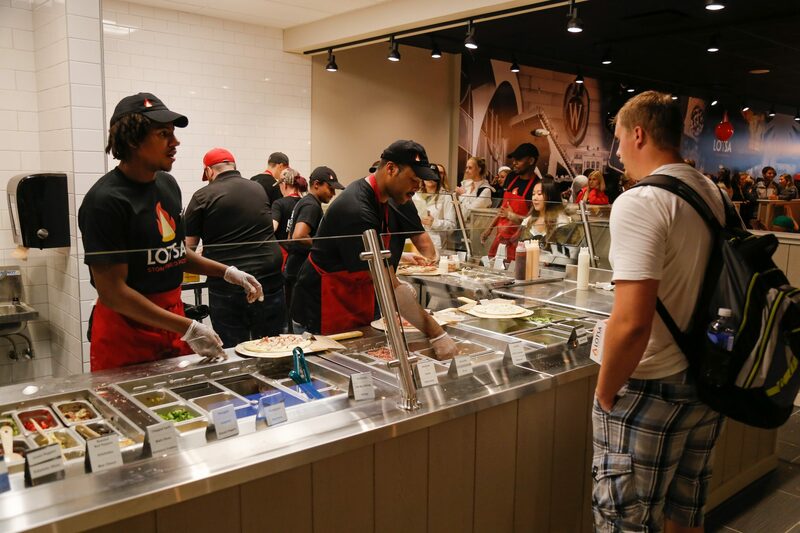 From the types of dough, sauce, cheese, to the wide selection of toppings, Lotsa offers a fully customizable build-your-own pizza. The possibilities are endless with all of the ingredients available. Post-baking, customers have the option to finish off their pizza with fresh basil, arugula and sauces. While the end of the line can be chaotic as pizzas come out in a different order as they went into the oven, the Lotsa Pizza makers manage to correctly match each pie to their respective consumers. 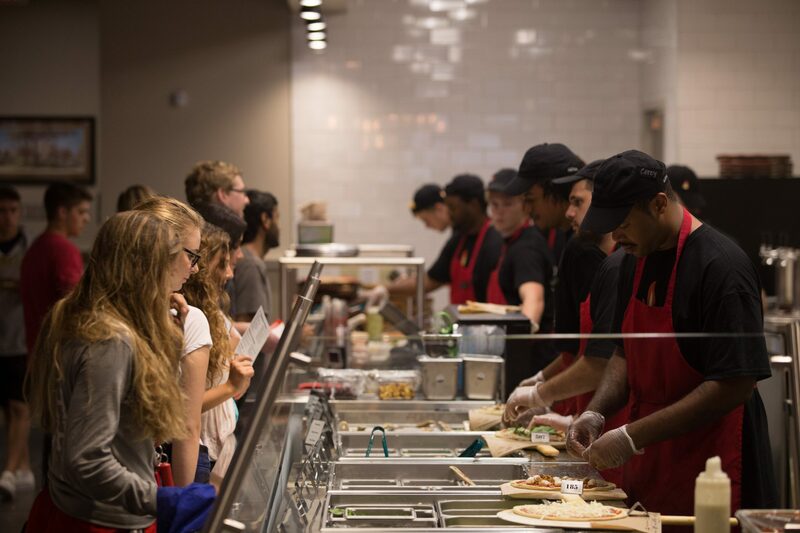 Customers gather around the end of the line to finish off the baked pizza with fresh herbs, vegetables and sauces. Pizzaiolos dress, cut and box the completed pizza. 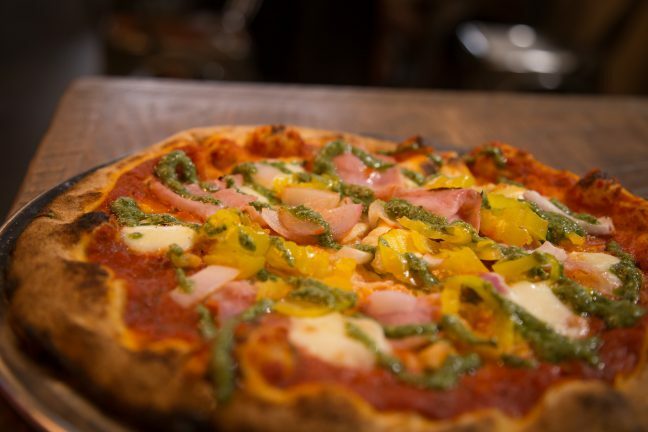 Pizzas made at Lotsa Pizza, regardless of the combination of toppings, are irresistibly delicious. Seeing the pie from the raw white dough to the golden brown pizza with melted cheese, well incorporated sauces and toppings with a slightly charred rim and perfectly crispy thin crust is undoubtedly an experience that would bring anyone back for seconds. 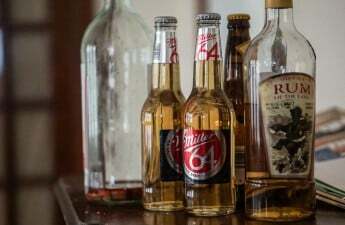 Plus, with a newly granted liquor license, Lotsa Pizza might just become the new late-night hotspot.